Rev. Peter Rocker of the Choctaw Bluff Community of Jackson, AL answered the Master’s call on Tuesday, February 5, 2019 after a brief illness. Born to Wesley and Gertrude Rocker, he was 88 years young. Shortly after Peter retired from Ford Motor Company in Monroe, Michigan (1982), he moved back home to Jackson, AL. He was a member of the New Canaan Baptist Church in Choctaw Bluff, Alabama. Peter known as “Rev” was very active in his community. 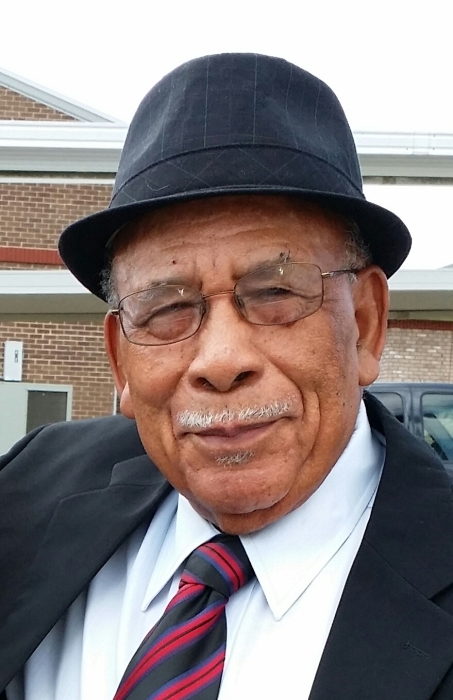 He served as the pastor of Old St. Matthew Baptist Church, member of the Clarke County Voter’s League, a driving force for the Choctaw Bluff Fire Department, school bus driver for Clarke county, and the owner of Rocker’s Grocery. “Rev” loved teaching God’s word, he was an avid bible scholar and bible school teacher. After receiving his GED later in life, he obtained his Bachelor’s in Theology. Peter was preceded by his parents, Mr. and Mrs. Wesley (Gertude) Rocker; sisters Bernice Hayes, Ollie Freelon, Heddie Johnson; brothers, Frank Rocker and Ralph Rocker, son Booker T. Rocker; daughter Carmen (Candy) Bourgess; and grandson, Robert (Rock) Henry; and brother-in-law, Eddie Mobley. Left to forever cherish his precious memories are his wife of 28 years Reola Rocker, Choctaw Bluff, AL; his children, Larry Rocker, Monroe, MI, Delbra Blackshear, Tucson AZ, Peter, Jr. (Eve) Rocker, Atlanta, GA, Eric (Joy) Rocker, Toledo, OH, Floyd Epps, Monroe MI, Alexander (Fariba) Rocker, Vancouver Canada, Othello (Rasheda) Jackson, Rayville, LA, Brian (Amber) Jackson, Jacksonville, FL and Bessie Jackson, Mobile, AL; 36 grandchildren, 26 great grandchildren, and 1 great great grandchild; siblings, John (Annie) Rocker Romulus, MI, Eava Riley, Detroit, MI, Robert (Mary) Rocker, Jackson AL, Eugene (Eleanor) Rocker, Toledo OH, Noah (Merline) Rocker, Jackson AL, Gloria (Earl) Martin, Jackson AL; and a host of other relatives and friends.